Let’s face it: automobile dealerships get a bad rap. In fact, a 2016 survey by Beepi Inc., found that 87% of American consumers dislike at least one thing about purchasing an automobile from a traditional dealership. Even if you’re the most upstanding, honest and trustworthy dealership around, when a new client walks in through the door, you’re already facing an uphill battle. While you might think there’s nothing you can do to help anxious buyers feel at ease, that simply isn’t the case. Yes, how you greet and treat people matters, but the overall environment you provide is just as important. Think about it: would you be willing to purchase a car from an establishment that had smudged windows, overflowing trashcans or a coffee stand covered in straw wrappers, empty sugar packets and yesterday’s stains? Probably not. After all, if that’s how they treat their establishment, what’s hiding under the hood of those cars out in the lot? You’ve got one chance to make a good first impression and that means offering your clients a pristine showroom, smudge-free windows, sanitary restrooms and absolutely no clutter. Rather than relying on your already busy employees to get the job done, why not hand over these critical responsibilities to someone like us? 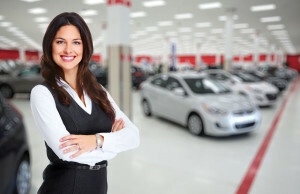 Here at System4, we have years of experience cleaning and caring for automobile dealerships. With a 24-hour customer service hotline and flexible appointments that can be made seven days a week, we’ll always be there when you need us. Working together, we can keep your dealership’s reputation spotless, both figuratively and literally. For more information, click here: http://system4utah.com/. Then, fill out the online form. A member of our customer service team will be in touch shortly. We look forward to serving you!